Ever had a STUPID nickname? A rotten run of bad luck? A best friend who just looks on the bright side even when the bright side looks black? Well Eric Vale’s got all three, and they’re pushing him towards the EPIC-EST of all EPIC FAILS! Eric Vale is the cutest, most flawed, most perfect and likeable character I’ve met in a long time. Michael Gerard Bauer has penned a fast-paced, deftly-woven, faultless (unlike Eric), super-fun tale that will have young readers absolutely hooked. 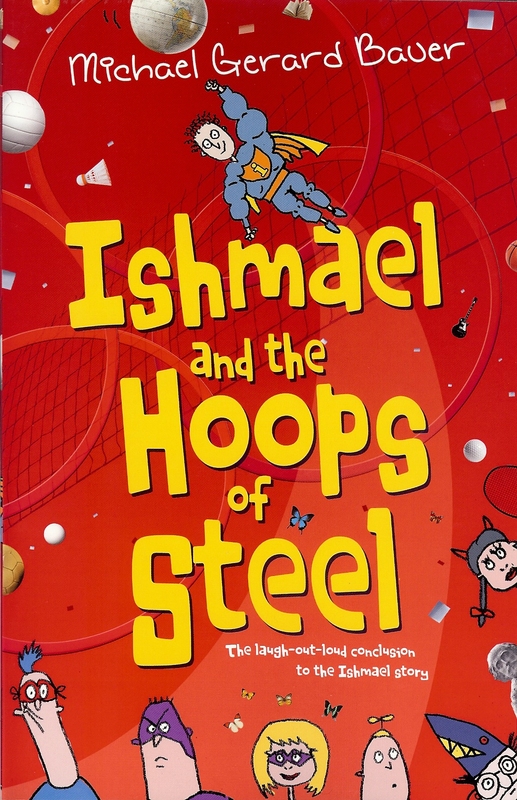 Totally awesome, really excellent wordage, adages and idioms make me wonder if Mr Bauer is indeed still in the fifth grade – that’s how perfectly relatable the story is for kids. Eric Vale Off the Rails – Selected for GET READINGS 2013 Top 50 Books You can’t Put Down. 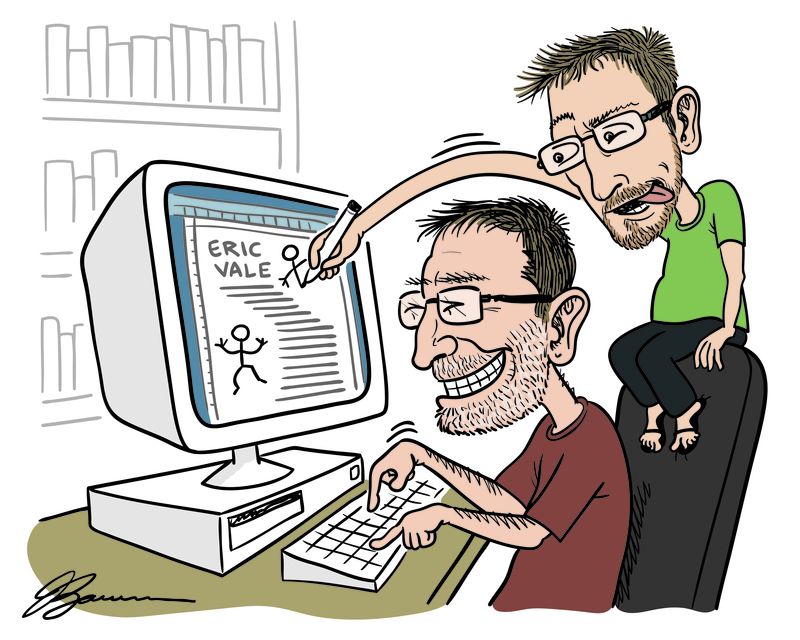 A PORTRAIT OF THE ARTIST AS A YOUNG WHIPPERSNAPPER – A blog containing everything you could possibly want to know about the origins of ERIC VALE story and the amazing illustrator JOE BAUER. TURKEY – Epsilon Yayincilik Hizmetleri – coming soon. BRAZIL – Editora Fundamento Brazil – coming soon. INDIA – Scholastic India (English language version) – coming soon. My son and daughter love Eric Vale`s books, we live in Monterrey Mexico…we only have Epic Fail and Super Male, we really need Off the Rails, that can be awesome !! Congrats for your work on this !! Thank you so much for taking the time and effort to send that lovely feedback. 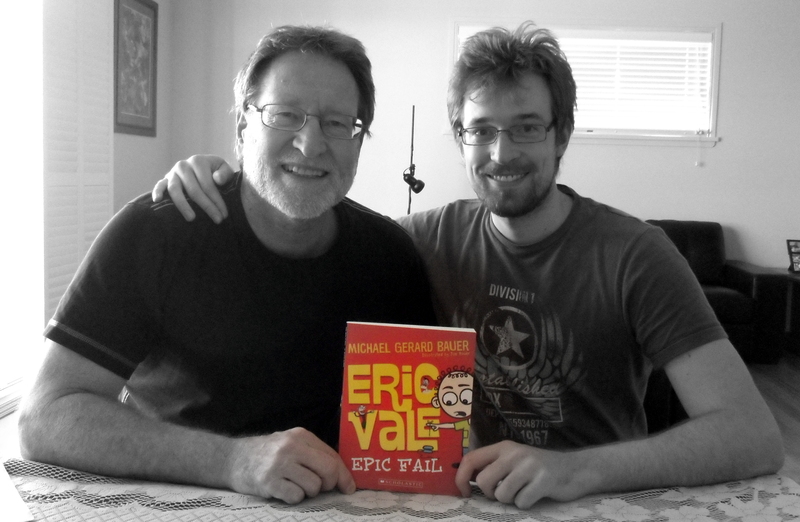 My son Joe (who does all the illustrations) and I are so glad that you have enjoyed the first two Eric Vale books. I hope you like Off the Rails just as much when you get a copy. It’s amazing to think of our books being read so far away in Mexico. Tammy Williams My Son does not like to read I bought him Epic Fail and Super Male and he read both in a week!! He wants more!!! Are you writing more? Thanks for the great review of Derek ‘Danger’ Dale, Hayden! My copy is currently on it’s way via the girls’ school “Bookclub”…just to wait for the fight over who gets to read it first. I’d better win!